So, it's time to talk about ways to keep your little one germ free this flu season! Germs are everywhere and with all the play-dates, field trips, sport events, extra-curricular activities, and holiday trips coming up mom's have to be on the defensive against those little germs. 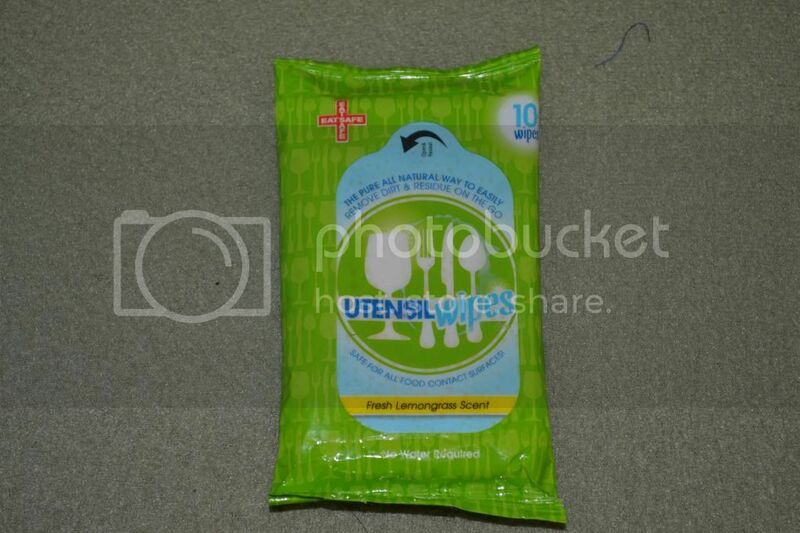 Mommy Moments with Abby's review of Utensil Wipes: One of the first places we have to be careful of germs is the utensils they eat from. When we travel around or eat out we are trusting someone else to clean our silverware. So, one way to help ease your mind is by tossing a pack of Utensil Wipes in your purse. It works great at making sure those forks and spoons are clean and your kid is mom protected. I also like these for camping trips and picnics where you may not have clean water to rinse and wash your silverware. I plan on keeping a pack in my console for those emergencies that always seem to come up, this way my kids can stay healthy and I can know that I'm doing everything that I can as a mom to keep them protected. They are also great for sippies, bottles, sport drink tops (because lets face it the team sport bottles all look the same), and water jugs. Whether your kids are just born or just made varsity they all still need us mom's to look out for them and wipe away the germs. Utensil Wipes are the ONLY all-natural wipe made exclusively to clean surfaces that touch your mouth! Perfect for utensils, plates, glasses, water bottles, and more--our natural lemongrass formulation cleans and eliminates potentially harmful germs. 12 Packs/120 Wipes! For $36 (includes shipping and handling). A $60 value! We developed these wipes in the USA because we believe that safe eating, drinking and childcare is critical. We use them and our children use them. The active ingredients in our wipes are ALL NATURAL and 100% safe for oral contact.